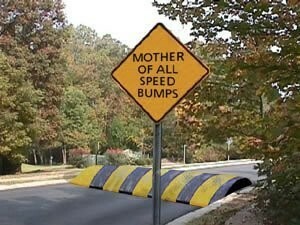 Hate speed bumps? So do I. In fact, is there anyone out there who actually enjoys those things? Well, if you’re among the majority of us who find them annoying, you’re in luck. Las Vegas Fire and Rescue recently stated that speed bumps are dangerous and slow response times for emergency vehicles. On the other hand, they are okay with speed humps. While speed bumps and speed humps both tend to run across the total width of a lane, speed bumps are taller with a shorter travel length, while speed humps are much shorter. I’m sure you’ve experienced the difference– the humps offer a slow and steady rise and fall, while the speed bumps are jarring and more likely to damage cars even while traveling at slower speeds. Tim Szymanski, a public education and information officer working for Las Vegas Fire and Rescue, reports that speed bumps were never officially approved in the city of Las Vegas… so following complaints from fire and rescue units in the field, the city has been trying to get them removed. “If you’ve got someone in cardiac arrest, every second that goes by, additional brain cells die,” Szymanski said.